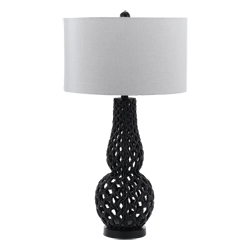 The Chain Link table lamp is handcrafted of resin in black. This traditional shape is updated and topped with a hard-back poly linen white shade. Easy to use in any décor.